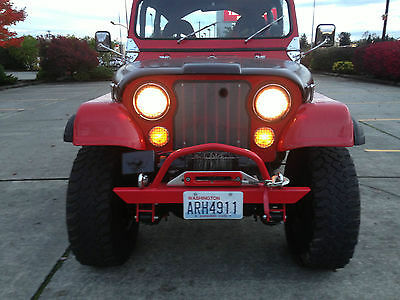 1978 Jeep CJ-5. Chevy 350, new automatic trans, new lift, new Seats, BFG tires, soft doors and bikini top, rear seat, and cd player. 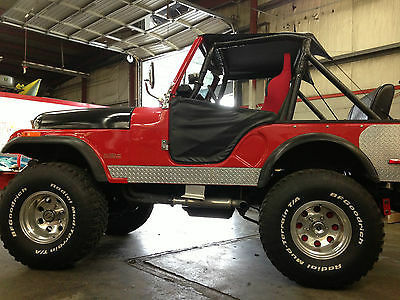 This Cj5 drivability is awesome for being the typical lifted cj5 that is usually hard to keep on the freeway at 50 mph speeds. Brand new automatic trans 350 turbo that shifts tight and smooth, making this jeep a great daily highway/freeway driver. 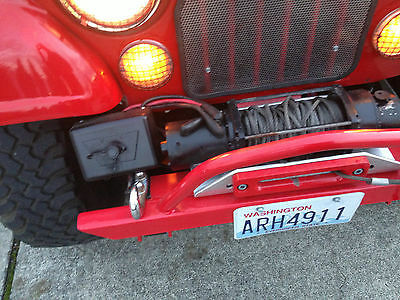 Heater, lights, speedo work, along with Warn winch, main battery shut off inside jeep and 4x4 work in proper order. As seen in my videos this is a solid jeep and a great driver if planning on using it as a main vehicle. Hood is paint matt black. Engine is dry, smooth running and quite when running at normal highway speeds. At ideal as heard in my videos has a great crisp v8 sound. 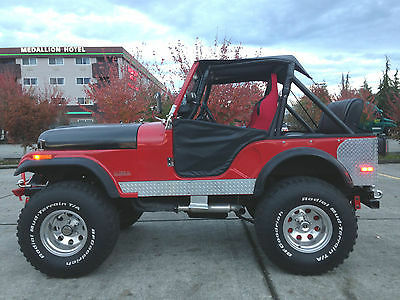 If you're looking for an older Jeep cj5, but still want to be able to drive and enjoy it, this is it. I have taken lots of additional photos and videos of vehicle running and driving. I have check jeep over and Fluids, Please call with question, please do not assume anything just ask.